In any business or home you want your office or space to be distinctive, you want it to impress, and to communicate your vision. 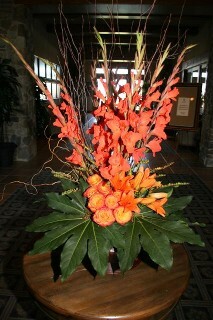 Flowers are a way to suggest an attitude; to create the right atmosphere and tone without having to say a word. Let Claire's Flowers construct a custom floral compliment for your home or business, and deliver a unique arrangement that will add style and freshness every week. Claire's Flowers can meet all of your floral needs: From the petite floral desk arrangement, to large organic installations for an event and anything in between including: employee birthday arrangements or an elegant “thank you” floral arrangement for a business colleague. 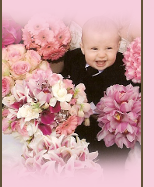 So whether you are looking for a florist in Santa Clarita Valley, Valencia, Westridge, Stevenson Ranch, Canyon Country, Newhall, Saugus, Castaic or any of the surrounding areas, give us a call and we will do everything in our power to satisfy your floral needs. Many of our residential accounts like flowers delviered every thursday. 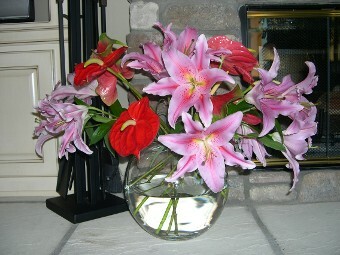 Many of our business accounts like flowers delivered every Monday. We can also customize to your schedule. To set up a residential or corporate weekly account or corporate special occasion account: call (661) 297-4023 or email info@clairesflowers.com, or use our contact us form on our "contact us" page.